Junior wide receiver Fred Trevillion attempts to make a catch during the first quarter of SDSU's 27-3 loss to Fresno State. A lot can change in two weeks in the world of college football. Before Boise State and Fresno State came to San Diego, a seemingly invincible 6-0 Aztec squad was ranked 19th in the country and boasted a Heisman contender in Rashaad Penny. 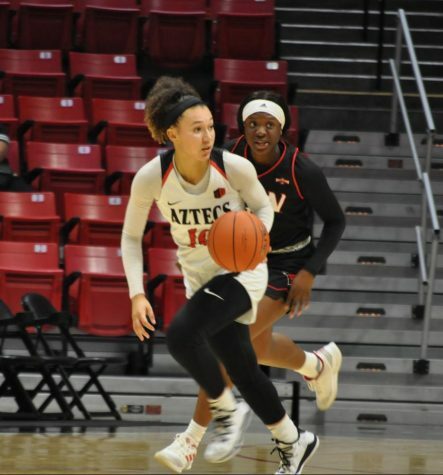 The Aztecs proved they could hang with the best by beating teams like Arizona State and Stanford, and the more the team won, the more people started to pay attention. It was the dream start to a season. It was the first time since 1975 that SDSU started off to a 6-0 record, and with a perfect record and a national ranking, it seemed as if it was finally the Aztecs’ time to dethrone Boise as the best in the Mountain West. With Heisman hopeful senior running back Penny on offense, a top 25 rush defense, a quarterback who doesn’t fold under pressure and a defensive backfield full of playmakers, the Aztecs seemed to have the perfect recipe. 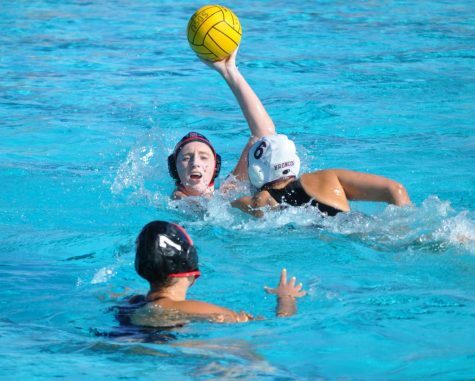 In front of 49,053 fans the Aztecs were dismantled by the Broncos. That loss stung, but SDSU was still on the edge of the AP and Amway Coaches Top 25, and the Mountain West championship was still in reach. 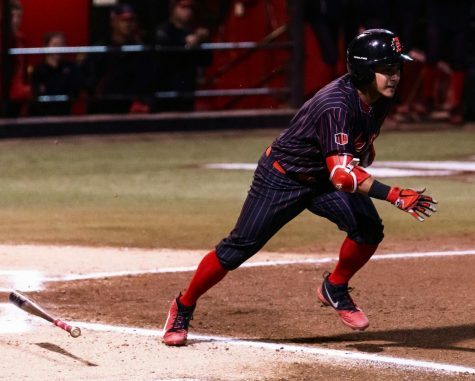 Fresno State altered the course of the season with a 27-3 beating that launched the Bulldogs two games in front of SDSU in the MW, putting the Aztecs out of reach from a potential rematch with Boise in the conference championship game. SDSU has been outscored 58-17 the last two games. 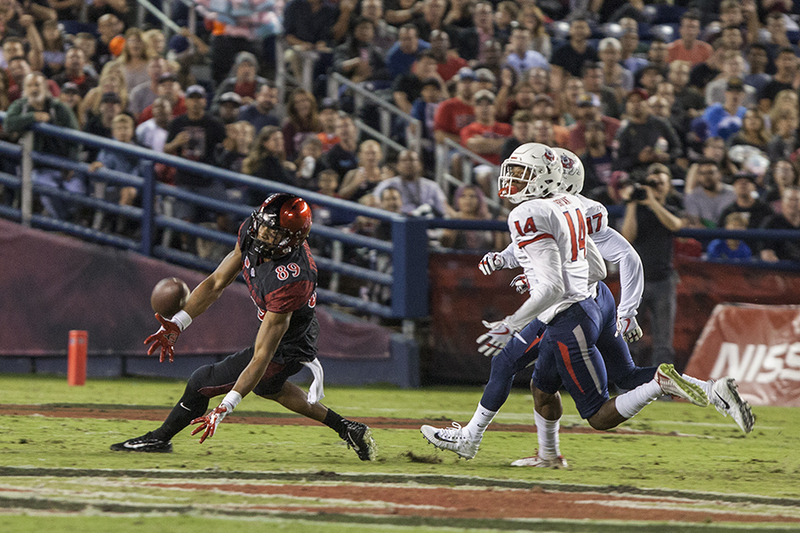 The defense hasn’t forced a turnover in over three weeks, and Penny hasn’t tallied more than 100 yards since the Aztecs’ 41-10 win over UNLV. The team that took the field in the Scarlet and Black these last two weeks seems like a completely different team. 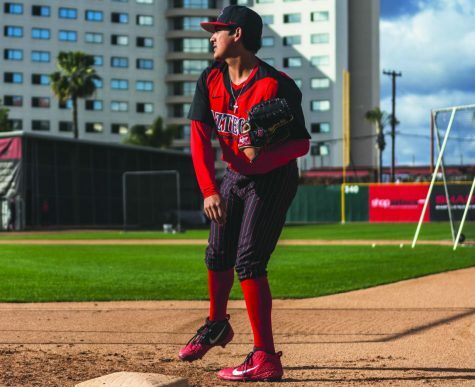 There’s no way to sugar coat the beatings that the Aztecs have taken in front of their home crowd, and not many people have answers for what in the world happened to the team that played the first six games of the season. Was the 6-0 record and national ranking an honest reflection of the quality of this team? 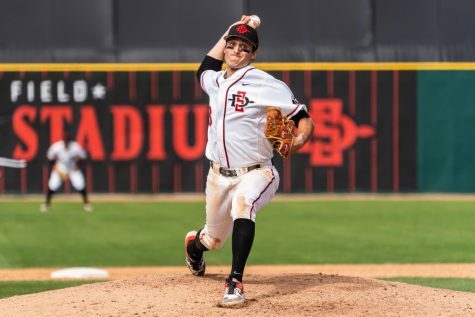 As disappointing as these last two games have been, the Aztecs historic start cannot be discredited. 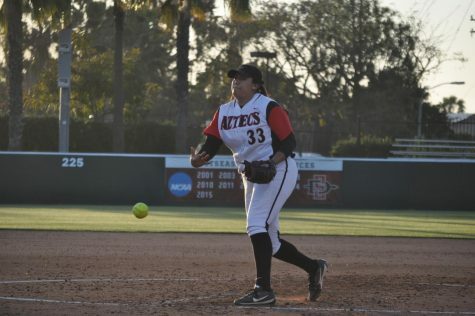 Beating two Pac-12 Conference teams is no simple task, and in that six-game win streak the Aztecs dominated both sides of the ball. SDCCU Stadium was seeing attendance numbers nearing 50,000. Everything was going perfect – which is why these last two games have been such shock to fans and players alike. Head Coach Rocky Long has said time and again that perfection is a near miracle in the world of college football. SDSU football is at a crossroads. 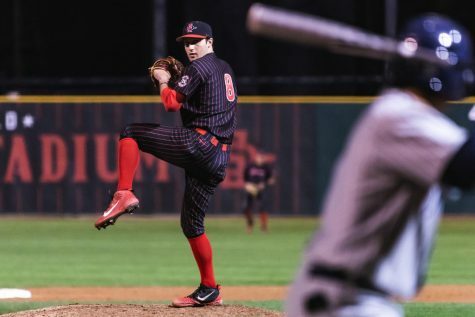 Its next game is on the road against the University of Hawaii, and it is a must win for the Aztecs if they want to keep their faint dreams of a third straight MW championship alive. Hawaii is coming off a bye week, and the 55-0 loss it suffered at the hands of SDSU last season is motivation enough to go out and compete in front of its home crowd. 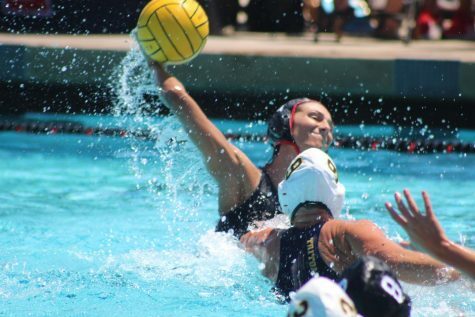 The Aztecs are trying to prove that they are still a force to be reckoned with. Defensive Coordinator Danny Gonzales thinks that this game is an opportunity for players to regain their confidence. “Good football players are emotionally hurt until they get a chance to right themselves, and that’s not until next saturday (against Hawaii),” Gonzales said. It will be no easy task for Rocky Long and his team, but if they are who we thought they were in the first half of the season, they will find a way to win and return to being the dominant team that they proved they can be.